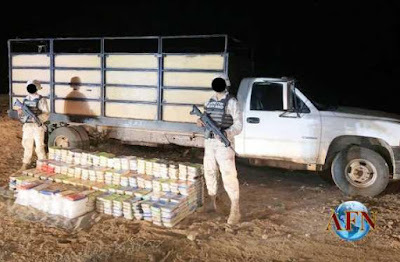 Ensenada BC: The Mexican Army seized more than half a ton of drugs in El Rosario, Municipality of Ensenada, Baja California; what was confiscated was hidden inside several containers. According to it became known, military elements found the drugs on September 22 at a military revision post, heading North, in which vehicles that circulated from south to north were reviewed. The military detained a man who was driving a pick-up truck in which two horses were being transported; the car was modified with a compartment in which several containers were found. 251 murders in the month of July set a new record for Tijuana; 13,298 in the first five months of 2018 and that is an increase of 67% and statewide the number is up by 36%. The Army confiscated: 705 packages with 600 grams of crystal methamphetamine in each one; 4 packages with 1 kilogram of fentanyl, each; two packages with 1 kilo of heroin, each one; it is estimated that the confiscated amounts to more than 1,550,00 DOSES of hard drugs. The detainee was placed at the disposal of the Public Ministry, where the corresponding investigation will be carried out; In total there were 711 packages found with different types of drugs. 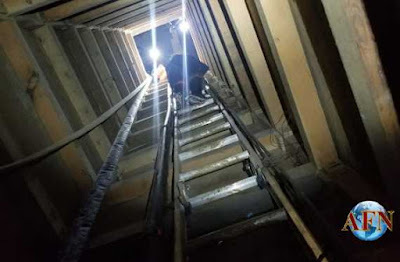 Elements of the Attorney General of the Republic (PGR) searched Tuesday the building where a narco-tunnel was located by the State Preventive Police (PEP) that runs to States United. 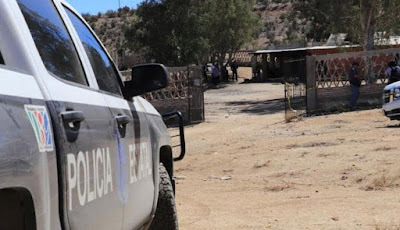 The property is located in the vicinity of the Jacumé ejido, a few meters from the Mexico-US Borderline, where PEP officials located an operation center for members of organized crime after intelligence work. After the discovery they gave part to the Delegation of the PGR, from where a search warrant was requested to a District Judge. When fulfilling the order, elements of the PGR Federal Ministerial Police entered the building where a tunnel was actually built to criminally cross drugs into the US. Only construction tools and other objects were found on the site. A camera equipped robot was used to determine the the length and exit of the tunnel. 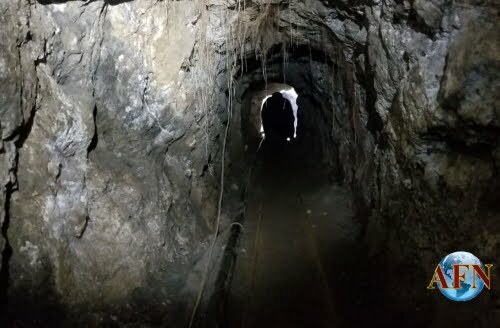 The alleged narco-tunnel l was originally located on Wednesday September 19 in the town of Jacume was searched by elements of the Attorney General's Office (PGR). Information provided by the agency indicates that the tunnel that crosses into the United States has a diameter of 1.20 by 1.30 meters, and a depth of ten meters. The entrance is in one of the rooms of the house, and US authorities are looking for the possible outlet in the area of ​​Jacumba, California. Fire Personnel crossed 40 meters of the tunnel crouching; there they observed metallic structures and a good design. 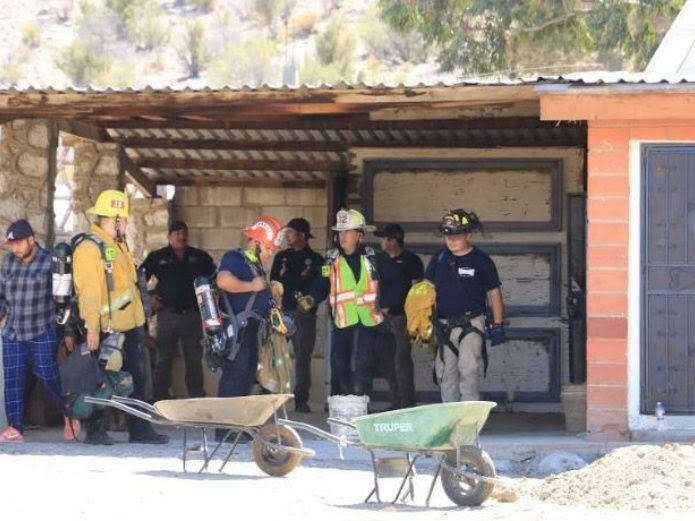 American authorities also seek the exit of the tunnel in the rural Jacumba , California area. The inspection will continue in the next hours with the support of a robot equipped with a camera to determine the length and exit of the tunnel. It transpired that a few meters from the house where the entrance was found is an old building that was used as a customs house; while on the California side of the border there is an airport and the Interstate 8 highway. And no one was caught at the tunnel, it was ghosts that we're working the tunnels. Has Mencho been associated with tunneling or is this CDS?